The only Soulstoner who was available to do this episode was me – Jen. I’m fairly certain that everyone else has already done a solo show, so it seems only fair that it was my turn to do one. The show must go on! I added a Lore Corner at the end of this episode. * We received Tweets from @Kherova, @josukeshair, @CkRtech, @HomeTownHero008, @Walkman8, @eG_acefisher1, @Kageri_Leblue, @Queenofhaiku, and @nevikjames. Send us a tweet @ShatteredStone and we will read and respond to it in our next episode. We did not receive any email for this episode. If you would like to send us an email about what you have been up to in game, or with Diablo related questions, please do! 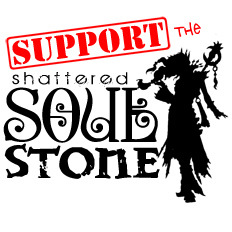 Send it to Show@ShatteredSoulstone.com! Scroll through the comment section and you will see the additional (and helpful) comments from Nevalistis that I read off in this episode. Kauza lets us know that they are aware of the issue with the Achievement Toasts not popping up. Mmmm… Achievement Toast! Part of a healthy breakfast! Nevalistis reviews the hotfixes that were deployed to the Ultimate Evil Edition on PlayStation 4 and Xbox One. * Kierpanda reminded us about her Horadric Hamburger recipe that is on her Eat Game Live blog. Enjoy the Yummies Per Second and Nom Nom Noms per second. In our 84th episode, we are back to our more regular routine – unfortunately without Jen – and after an interesting pre-show we get down to business and talk about what we’ve been up to: Nevik is still undecided on what to roll for the D2 ladder reset, Breja is recovering from his triple RIP, and Lanntonio continues to work on his barbarian. * We read and respond to emails from Funktropus and LotusGH, as well as an audio from Rilandune. Listener participation has been absolutely amazing and is primarily why we do this show, so keep them coming! We WILL get to all the emails we receive, even if occasionally we have to push a few to the next episode. Send in your stories of RNGesus triumph to Show@ShatteredSoulstone.com! * We received a bunch of tweets (as you might) from @Kherova (19 tweets! ), @Tatt00ed76, @celtherapy, @EYedgar0111, @sastewart111, @Rilandune, @Torrack1714, @HomeTownHero008, @scanline75, @shawno, and our own @QueenofHaiku. Thank you for your tweets. Don’t forget that you, too, can send in your thoughts via social media outlets such as Facebook, Google+, and Twitter. * With season 3 in full swing we posed a question on Twitter asking what your unicorn is this season. Be sure to follow the show on Twitter to participate in future Questions of the Show. * We talk a bit more in detail about UI mods (more inline with World of Warcraft’s add-ons) and whether or not the game needs them, or would benefit from them. Obviously there is always room for improvement, but how do you feel? Let us know by sending your thoughts to Show@ShatteredSoulstone.com. * WE NEED YOUR HELP! Your participation can ensure that this fun segment makes an appearance every show. Send your Official Forum Thread Masterpiece Theater audio segments (or humorous forum threads) to Show@ShatteredSoulstone.com. 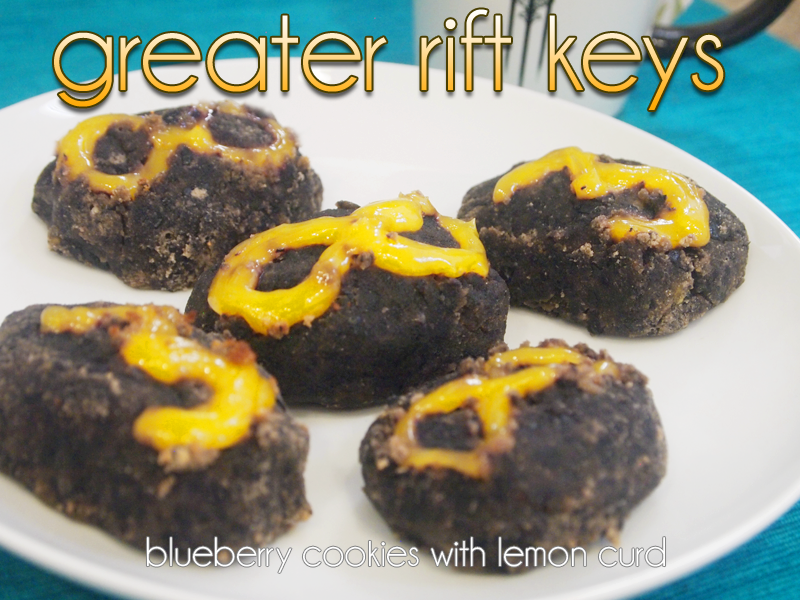 * For Diablo III’s 3rd anniversary Kierpanda of EatGameLive.com created another Diablo-themed culinary dish, Greater Rift Keys. They look absolutely delicious! * Another week, another new record 4 player Greater Rift clear. This time ZeroEmpathy managed to clear a GR71. Madness. Absolute madness. * If you haven’t been fortunate enough to have a well-rolled In-Geom and are looking to Dashing Strike all over the place all the time, be sure to check out Nastuma Z’s video guide of BigFluff’s Fiery Dash Monk. * If you’re planning on jumping in to the new Diablo II ladder reset and haven’t played in a long time – or at all – there’s a fantastic forum thread highlighting 54 things you might need to know about D2. * Just remember folks, if you’re using literally in a sentence, it better actually be factually accurate. * Breja highly recommends the board game, Betrayal at House on the Hill. It sounds like a lot of fun.